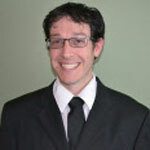 Jacob Chiofalo is an in home test prep provider for SSAT, SAT and ACT as well as an essay reader and mentor. A graduate of SUNY Cortland with an MA in school counseling from UCF, Mr. Chiofalo has been a School Counselor, both in Florida and internationally, helping hundreds of students through the college selection and admissions process. Mr. Chiofalo knows what Universities are looking for in students and how to help you create the most competitive application possible. In his role as a guidance counselor Mr. Chiofalo has his finger on the pulse of the Florida College admissions process and conveys that expertise to students and families. Offerings Mr. Chiofalo is currently offering in-home SAT, PSAT, ACT and SSAT prep for individuals and small groups as well as mentoring services to middle and high school students. He works with students in the application process providing essay reading services too.